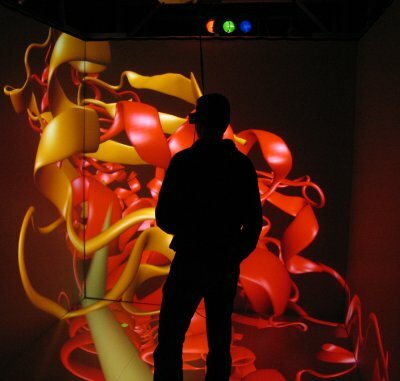 Mr. Stone is the lead developer of VMD, a high performance tool for preparation, analysis, and visualization of biomolecular simulations used by over 100,000 researchers all over the world. Our research papers describing VMD and its algorithms have been cited by more than 28,000 peer-reviewed research papers, both by users of VMD itself and by researchers developing related software and algorithms. 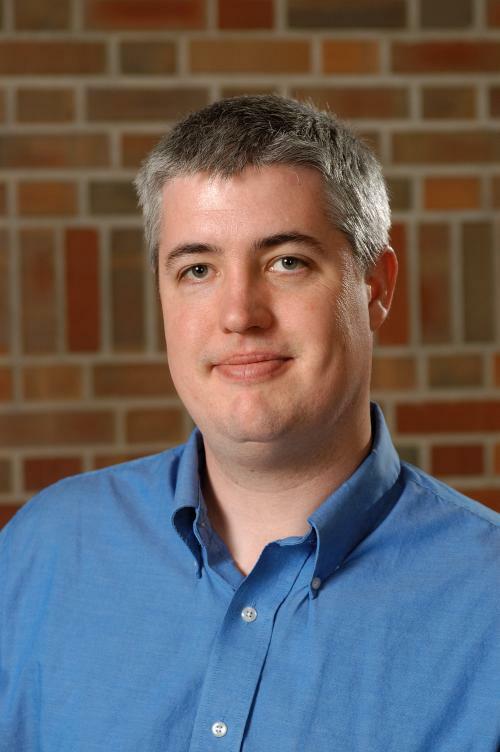 Mr. Stone's research interests include molecular visualization, GPU computing, parallel computing, ray tracing, haptics, virtual environments, and immersive visualization. Mr. Stone is a frequent presenter and mentor in HPC and exascale computing training workshops and related "Hackathon" events that aim to give computational scientists both the knowledge of theory and the practical experience they need to successfully develop high performance scientific software for next-generation parallel computing systems. Mr. Stone was inducted as an NVIDIA CUDA Fellow in 2010. In 2015 Mr. Stone joined the Khronos Group Advisory Panel for the Vulkan Graphics API. In 2017, 2018, and 2019 Mr. Stone was awarded as an IBM Champion for Power, for innovative thought leadership in the technical community. He also provides consulting services for projects involving computer graphics, GPU computing, and high performance computing. 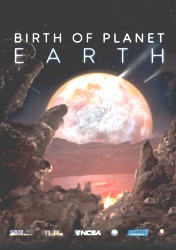 Birth of Planet Earth tells the twisted tale of our planet's origins. Scientists now believe that our galaxy is filled with solar systems, including up to a billion planets roughly the size of our own. The film employs advanced, data-driven, cinematic-quality visualizations to explore some of the greatest questions in science today: How did Earth become a living planet in the wake of our solar system's violent birth? 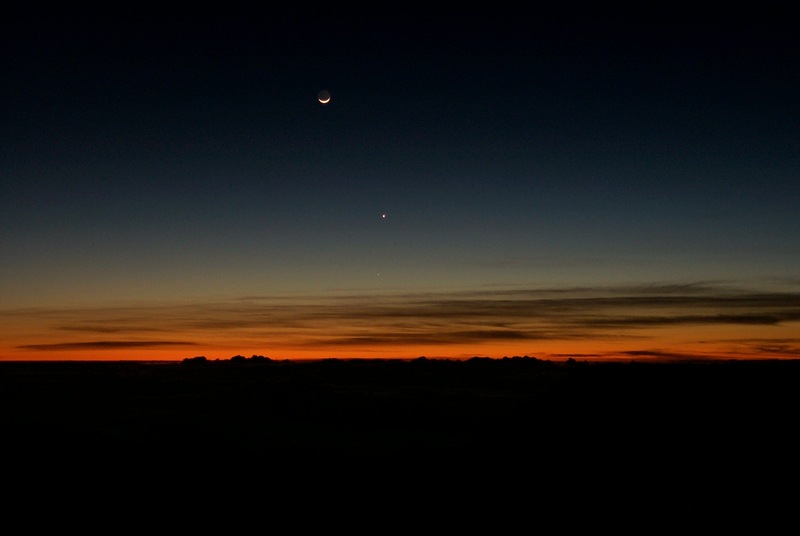 What does its history tell us about our chances of finding other worlds that are truly Earth-like? Produced by Spitz Creative Media, NCSA's Advanced Visualization Lab, Thomas Lucas Productions, Inc., in association with Tellus Science Museum. This project has been made possible with support from the Commonwealth of Pennsylvania and the Greater Philadelphia Film Office; funded in part by the National Science Foundation. Retroviruses are pathogens characterized by their ability to incorporate viral DNA into a host cell's genome. 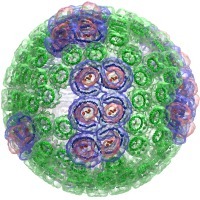 Retroviruses like Rous Sarcoma Virus (RSV) infect cells during mitosis, when the chromatin is exposed to the cytoplasm. 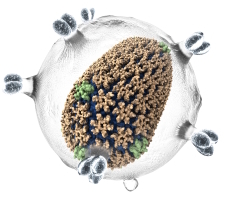 Conversely, the genus of lentiviruses, like the human immunodeficiency virus (HIV), have evolved to infect non-dividing cells. 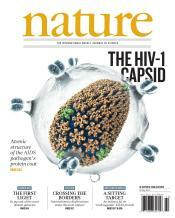 Despite infecting cells at different stages of their life cycles, RSV and HIV share a similar late stage replication cycle that is highly dependent on the group actin polyprotein precursor (Gag), which contains the matrix (MA), capsid (CA) and nucleocapsid (NC) proteins. Both HIV's CA and Gag are considered unexploited targets for pharmaceutical intervention. We describe the techniques that were used to build, simulate, analyze and visualize the structures of both Gag and CA, as well as we discuss scientific visualization needs that spurred development of an interactive GPU-accelerated ray tracing engine and the use of remote visualization technologies. The cellular process responsible for providing energy for most life on Earth, namely, photosynthetic light-harvesting, requires the cooperation of hundreds of proteins across an organelle, involving length and time scales spanning several orders of magnitude over quantum and classical regimes. Simulation and visualization of this fundamental energy conversion process pose many unique methodological and computational challenges. We present, in an accompanying movie, light-harvesting in the photosynthetic apparatus found in purple bacteria, the so-called chromatophore. 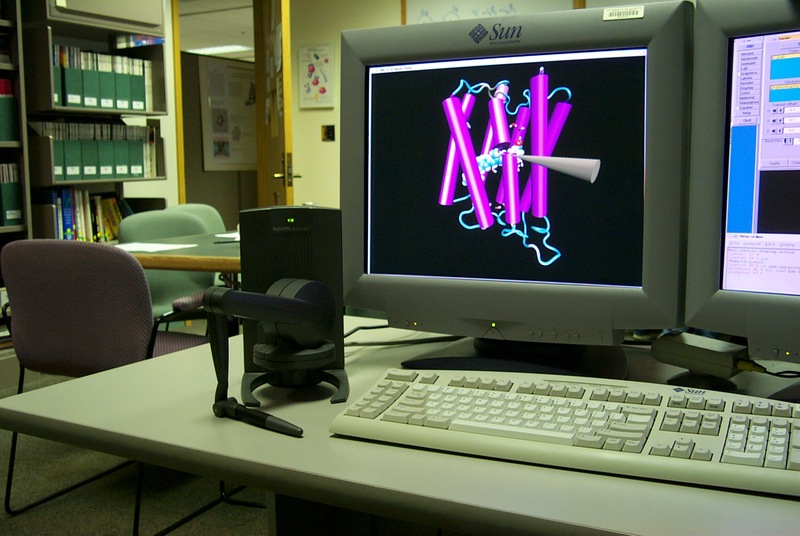 The movie is the culmination of three decades of modeling efforts, featuring the collaboration of theoretical, experimental, and computational scientists. We describe the techniques that were used to build, simulate, analyze, and visualize the structures shown in the movie, and we highlight cases where scientific needs spurred the development of new parallel algorithms that efficiently harness GPU accelerators and petascale computers. "Interactive Ray Tracing Techniques for High-Fidelity Scientific Visualization"
In, Eric Haines and Tomas Akenine-Möller, editors, Ray Tracing Gems, Apress, Chapter 27, pp. 493-515, 2019. 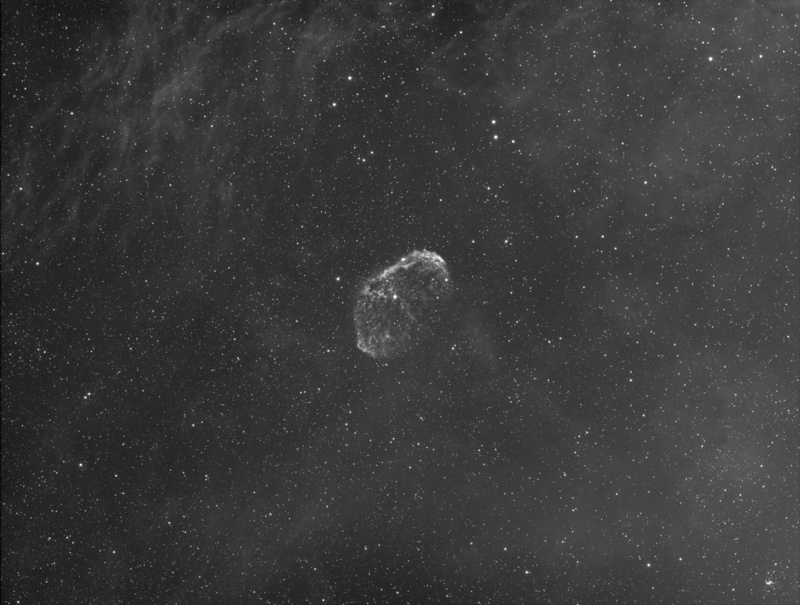 "A Planetarium Dome Master Camera"
In, Eric Haines and Tomas Akenine-Möller, editors, Ray Tracing Gems, Apress, Chapter 4, pp. 49-60, 2019. "Omnidirectional Stereoscopic Projections for VR"
In, William R. Sherman, editor, VR Developer Gems, Taylor and Francis / CRC Press, Chapter 24, 2019. "Application Case Study — Molecular Visualization and Analysis"
In, David Kirk, Wen-mei Hwu, Programming Massively Parallel Processors: A Hands-on Approach (Third Edition), Morgan Kaufmann, Chapter 15, pp. 331-344, Cambridge, MA, 2017. "GPU-Accelerated Molecular Dynamics Clustering Analysis with OpenACC"
John E. Stone, Juan R. Perilla, C. Keith Cassidy, and Klaus Schulten. In, Robert Farber, editor, Parallel Programming with OpenACC, Morgan Kaufmann, Chapter 11, pp. 215-240, Cambridge, MA, 2016. "Stochastic Simulations of Cellular Processes: From Single Cells to Colonies"
John Cole, Michael J. Hallock, Piyush Labhsetwar, Joseph R. Peterson, John E. Stone, and Zaida Luthey-Schulten. In, Roland Eils and Andres Kriete, editors, Computational Systems Biology, Second Edition, Chapter 13, pp. 277-293, 2013. "GPU-Accelerated Computation and Interactive Display of Molecular Orbitals"
John E. Stone, David J. Hardy, Jan Saam, Kirby L. Vandivort, and Klaus Schulten. 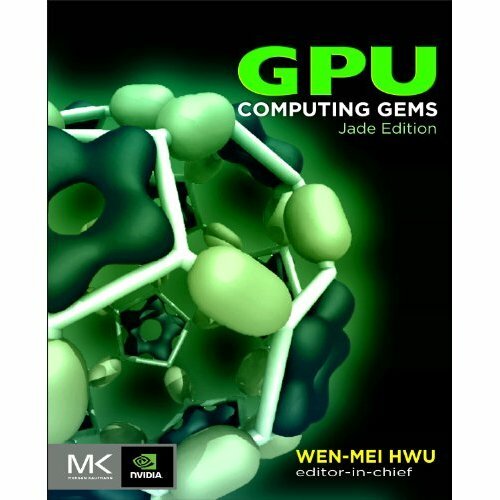 In, Wen-Mei Hwu, editor, GPU Computing Gems, Chapter 1, pp. 5-18, 2011. "Fast Molecular Electrostatics Algorithms on GPUs"
David J. Hardy, John E. Stone, Kirby L. Vandivort, David Gohara, Christopher Rodrigues, and Klaus Schulten. In, Wen-Mei Hwu, editor, GPU Computing Gems, Chapter 4, pp. 43-58, 2011. "GPU Algorithms for Molecular Modeling"
John E. Stone, David J. Hardy, Barry Isralewitz, and Klaus Schulten. In Jack Dongarra, David A. Bader, and Jakub Kurzak editors, Scientific Computing with Multicore and Accelerators, Chapman & Hall / CRC Press, Chapter 16, pp. 351-371, 2010. "Atoms to Phenotypes: Molecular Design Principles of Cellular Energy Metabolism"
"High-performance analysis of biomolecular containers to measure small-molecule transport, transbilayer lipid diffusion, and protein cavities"
"Scalable Molecular Dynamics with NAMD on the Summit System"
Bilge Acun, David J. Hardy, Laxmikant V. Kale, Ke Li, James C. Phillips, and John E. Stone. "NanoShaper-VMD interface: computing and visualizing surfaces, pockets and channels in molecular systems"
Sergio Decherchi, Andrea Spitaleri, John Stone, and Walter Rocchia. "Best Practices in Running Collaborative GPU Hackathons: Advancing Scientific Applications with a Sustained Impact"
Sunita Chandrasekaran, Guido Juckeland, Meifeng Ling, Matthew Otten, Dirk Pleiter, John E. Stone, Juan Lucio-Vega, Michael Zingale, and Fernanda Foertter. Computing in Science and Engineering 20(4):95-106, 2018. "NAMD goes quantum: an integrative suite for hybrid simulations"
Marcelo C. R. Melo, Rafael C. Bernardi, Till Rudack, Maximilian Scheurer, Christoph Riplinger, James C. Phillips, Julio D. C. Maia, Gerd B. Rocha, João V. Ribeiro, John E. Stone, Frank Neese, Klaus Schulten, and Zaida Luthey-Schulten. Nature Methods, 15: 351-354, 2018. "The OLCF GPU Hackathon Series: The Story Behind Advancing Scientific Applications with a Sustained Impact"
The 2017 Workshop on Education for High Performance Computing (EduHPC'17), 2017. "Challenges of Integrating Stochastic Dynamics and Cryo-electron Tomograms in Whole-cell Simulations"
Tyler M. Earnest, Reika Watanabe, John E. Stone, Julia Mahamid, Wolfgang Baumeister, Elizabeth Villa, and Zaida Luthey-Schulten. J. Physical Chemistry B, 121(15): 3871-3881, 2017. "Early Experiences Porting the NAMD and VMD Molecular Simulation and Analysis Software to GPU-Accelerated OpenPOWER Platforms"
John E. Stone, Antti-Pekka Hynninen, James C. Phillips, and Klaus Schulten. International Workshop on OpenPOWER for HPC (IWOPH'16), LNCS 9945, pp. 188-206, 2016. "Molecular dynamics-based refinement and validation for sub-5Å cryo-electron microscopy maps"
Abhishek Singharoy, Ivan Teo, Ryan McGreevy, John E. Stone, Jianhua Zhao, and Klaus Schulten. "TopoGromacs: Automated Topology Conversion from CHARMM to GROMACS within VMD"
Josh V. Vermaas, David J. Hardy, John E. Stone, Emad Tajkhorshid, and Axel Kohlmeyer. J. Chemical Information and Modeling, 56(6):1112-1116, 2016. 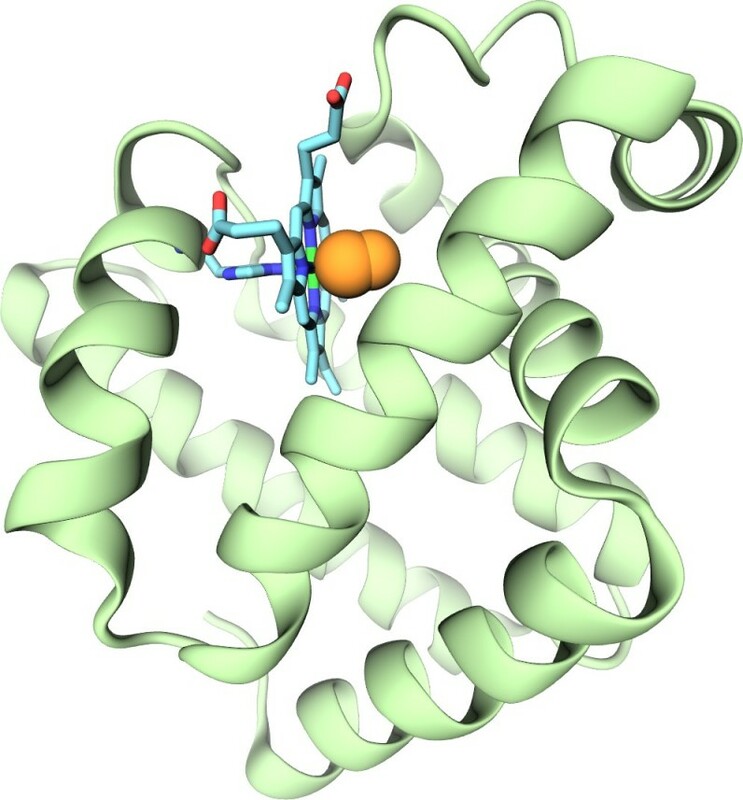 "QwikMD - Integrative Molecular Dynamics Toolkit for Novices and Experts"
João V. Ribeiro, Rafael C. Bernardi, Till Rudack, John E. Stone, James C. Phillips, Peter L. Freddolino, and Klaus Schulten. 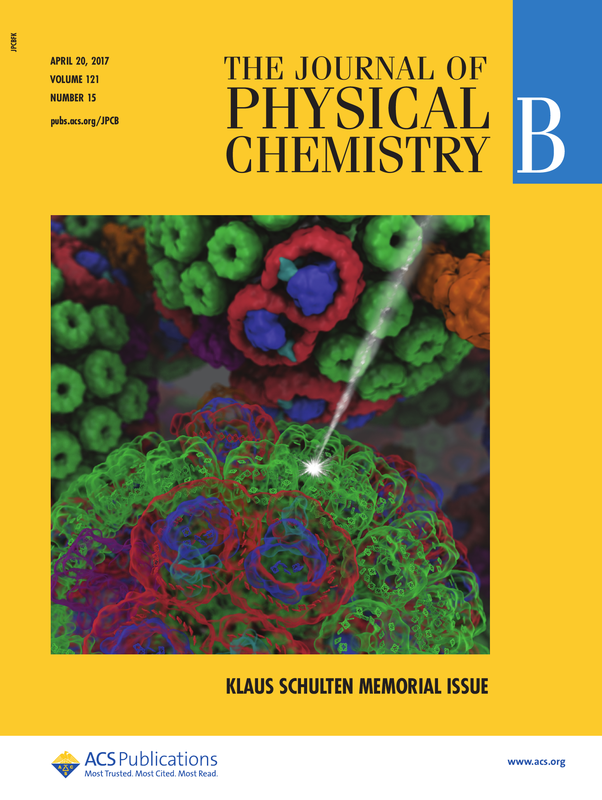 "Immersive Molecular Visualization with Omnidirectional Stereoscopic Ray Tracing and Remote Rendering"
John E. Stone, William R. Sherman, and Klaus Schulten. High Performance Data Analysis and Visualization Workshop, 2016 IEEE International Parallel and Distributed Processing Symposium Workshops (IPDPSW), pp. 1048-1057, 2016. "High Performance Molecular Visualization: In-Situ and Parallel Rendering with EGL"
John E. Stone, Peter Messmer, Robert Sisneros, and Klaus Schulten. High Performance Data Analysis and Visualization Workshop, 2016 IEEE International Parallel and Distributed Processing Symposium Workshops (IPDPSW), pp. 1014-1023, 2016. "Evaluation of Emerging Energy-Efficient Heterogeneous Computing Platforms for Biomolecular and Cellular Simulation Workloads"
John E. Stone, Michael J. Hallock, James C. Phillips, Joseph R. Peterson, Zaida Luthey-Schulten, and Klaus Schulten. 25th International Heterogeneity in Computing Workshop, 2016 IEEE International Parallel and Distributed Processing Symposium Workshops (IPDPSW), pp. 89-100, 2016. 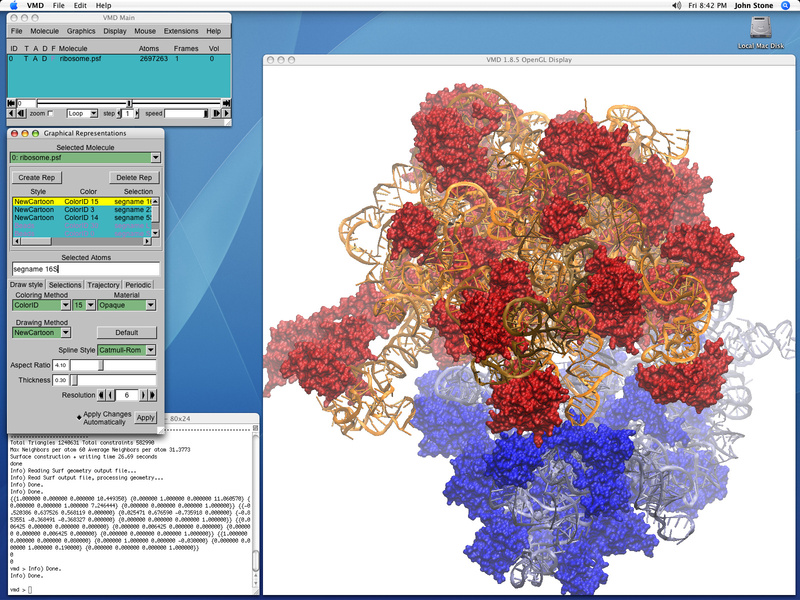 "Atomic Detail Visualization of Photosynthetic Membranes with GPU-Accelerated Ray Tracing"
J. Parallel Computing, 55:17-27, 2016. "Chemical Visualization of Human Pathogens: the Retroviral Capsids"
SC'15 Visualization and Data Analytics Showcase, 2015. "Runtime and Architecture Support for Efficient Data Exchange in Multi-Accelerator Applications"
Javier Cabezas, Isaac Gelado, John E. Stone, Nacho Navarro, David B. Kirk, and Wen-mei Hwu. IEEE Transactions on Parallel and Distributed Systems, 26(5):1405-1418, 2015. "Multilevel Summation Method for Electrostatic Force Evaluation"
David J. Hardy, Zhe Wu, James C. Phillips John E. Stone, Robert D. Skeel, and Klaus Schulten. Journal of Chemical Theory and Computation, 11:766-779, 2015. "Visualization of Energy Conversion Processes in a Light Harvesting Organelle at Atomic Detail"
SC'14 Visualization and Data Analytics Showcase, 2014. "Petascale Tcl with NAMD, VMD, and Swift/T"
James C. Phillips, John E. Stone, Kirby L. Vandivort, Timothy G. Armstrong, Justin M. Wozniak, Michael Wilde, and Klaus Schulten. Proceedings of the First Workshop for High Performance Technical Computing in Dynamic Languages, pp. 6-17, 2014. "Stable Small Quantum Dots for Synaptic Receptor Tracking on Live Neurons"
En Cai, Pinghua Ge, Sang Hak Lee, Okunola Jeyifous, Yong Wang, Yanxin Liu, Katie M. Wilson, Sung Jun Lim, Michele A. Baird, John E. Stone, Kwan Young Lee, David G. Fernig, Michael W. Davidson, Hee Jung Chung, Klaus Schulten, Andrew M. Smith, William N. Green, and Paul R. Selvin. Angewandte Chemie - International Edition in English, 53(46):12484-12488, 2014. "Unlocking the Full Potential of the Cray XK7 Accelerator"
Mark D. Klein and John E. Stone. Cray Users Group, Lugano Switzerland, May 2014. "GPU-Accelerated Analysis and Visualization of Large Structures Solved by Molecular Dynamics Flexible Fitting"
John E. Stone, Ryan McGreevy, Barry Isralewitz, and Klaus Schulten. "Methodologies for the Analysis of Instantaneous Lipid Diffusion in MD Simulations of Large Membrane Systems"
Matthieu Chavent, Tyler Reddy, Joseph Goose, Anna Caroline E. Dahl, John E. Stone, Bruno Jobard, and Mark S.P. Sansom. "Simulation of reaction diffusion processes over biologically relevant size and time scales using multi-GPU workstations"
Michael J. Hallock, John E. Stone, Elijah Roberts, Corey Fry, and Zaida Luthey-Schulten. Journal of Parallel Computing, 40:86-99, 2014. "Assembly of Nsp1 nucleoporins provides insight into nuclear pore complex gating"
Ramya Gamini, Wei Han, John E. Stone, and Klaus Schulten. 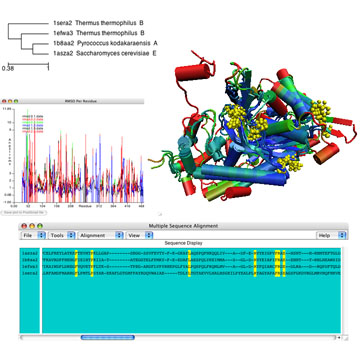 PLoS Computational Biology, 10(3): e1003488, 2014. "GPU-Accelerated Molecular Visualization on Petascale Supercomputing Platforms"
John E. Stone, Kirby L. Vandivort, and Klaus Schulten. UltraVis'13: Proceedings of the 8th International Workshop on Ultrascale Visualization, pp. 6:1-6:8, 2013. 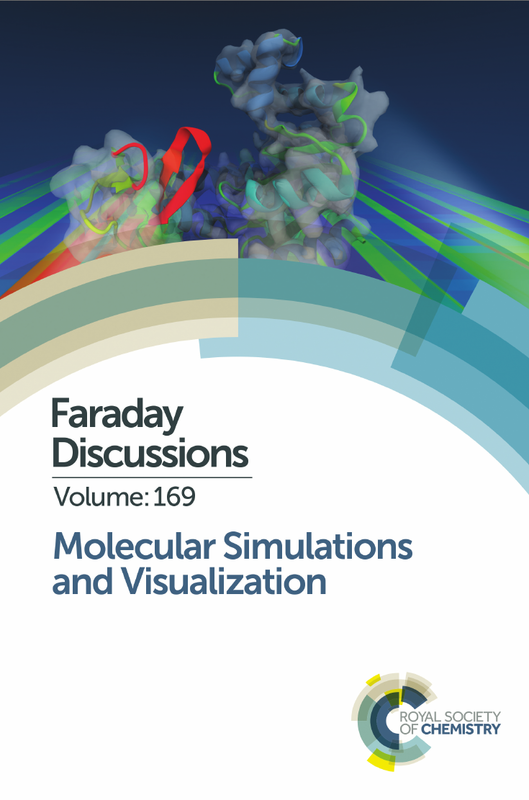 "Early Experiences Scaling VMD Molecular Visualization and Analysis Jobs on Blue Waters"
John E. Stone, Barry Isralewitz, and Klaus Schulten. Extreme Scaling Workshop (XSW), pp. 43-50, 2013. "Lattice microbes: High-Performance stochastic simulation method for the reaction-diffusion master equation"
Elijah Roberts, John E. Stone, and Zaida Luthey-Schulten. Journal of Computational Chemistry, 34(3):245-255, 2013. "Fast Visualization of Gaussian Density Surfaces for Molecular Dynamics and Particle System Trajectories"
Michael Krone, John E. Stone, Thomas Ertl, and Klaus Schulten. EuroVis - Short Papers, pp. 67-71, 2012. "Optimization of a Broadband Discone Antenna Design and Platform Installed Radiation Patterns Using a GPU-Accelerated Savant/WIPL-D Hybrid Approach"
Tod Courtney, Matthew C. Miller, John E. Stone, and Robert A. Kipp. In Proceedings of the Applied Computational Electromagnetics Symposium (ACES 2012), Columbus, Ohio, April 2012. "Immersive Out-of-Core Visualization of Large-Size and Long-Timescale Molecular Dynamics Trajectories"
G. Bebis et al. (Eds. ): 7th International Symposium on Visual Computing (ISVC 2011), LNCS 6939, pp. 1-12, 2011. "Using GPUs to Accelerate Installed Antenna Performance Simulations"
Tod Courtney, John E. Stone, and Bob Kipp. In Proceedings of the 2011 Antenna Applications Symposium, Allerton Park, Monticello IL, September 2011. "Fast Analysis of Molecular Dynamics Trajectories with Graphics Processing Units — Radial Distribution Function Histogramming"
Benjamin G. Levine, John E. Stone, and Axel Kohlmeyer. Journal of Computational Physics, 230(9):3556-3569, 2011. G. Bebis et al. (Eds. ): ISVC 2010, Part II, LNCS 6454, pp. 382-393, 2010. "Quantifying the Impact of GPUs on Performance and Energy Efficiency in HPC Clusters"
Jeremy Enos, Craig Steffen, Joshi Fullop, Michael Showerman, Guochun Shi, Kenneth Esler, Volodymyr Kindratenko, John E. Stone, and James C. Phillips. International Conference on Green Computing, pp. 317-324, 2010. "GPU-Accelerated Molecular Modeling Coming Of Age"
John E. Stone, David J. Hardy, Ivan S. Ufimtsev, and Klaus Schulten. Journal of Molecular Graphics and Modelling, 29(2):116-125, 2010. "OpenCL: A Parallel Programming Standard for Heterogeneous Computing Systems"
John E. Stone, David Gohara, and Guochun Shi. Computing in Science and Engineering, 12(3):66-73, 2010. "An Asymmetric Distributed Shared Memory Model for Heterogeneous Parallel Systems"
Isaac Gelado, John E. Stone, Javier Cabezas, Sanjay Patel, Nacho Navarro, and Wen-mei W. Hwu. ASPLOS '10: Proceedings of the 15th International Conference on Architectural Support for Programming Languages and Operating Systems, pp. 347-358, 2010. "Probing Biomolecular Machines with Graphics Processors"
James C. Phillips and John E. Stone. Communications of the ACM 52(10):34-41, 2009. "GPU Clusters for High Performance Computing"
Volodymyr Kindratenko, Jeremy Enos, Guochun Shi, Michael Showerman, Galen Arnold, John E. Stone, James Phillips, and Wen-mei Hwu. Cluster Computing and Workshops, 2009. CLUSTER '09. IEEE International Conference on. pp. 1-8, Aug. 2009. "Visualization of Cyclic and Multi-branched Molecules with VMD"
Simon Cross, Michelle M. Kuttell, John E. Stone, and James E. Gain. 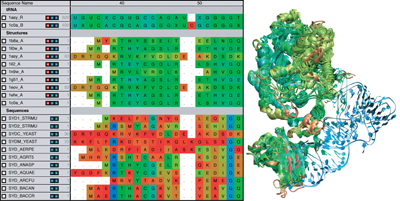 Journal of Molecular Graphics and Modelling. 28:131-139, 2009. "Long time-scale simulations of in vivo diffusion using GPU hardware"
Elijah Roberts, John E. Stone, Leonardo Sepulveda, Wen-mei W. Hwu, and Zaida Luthey-Schulten. 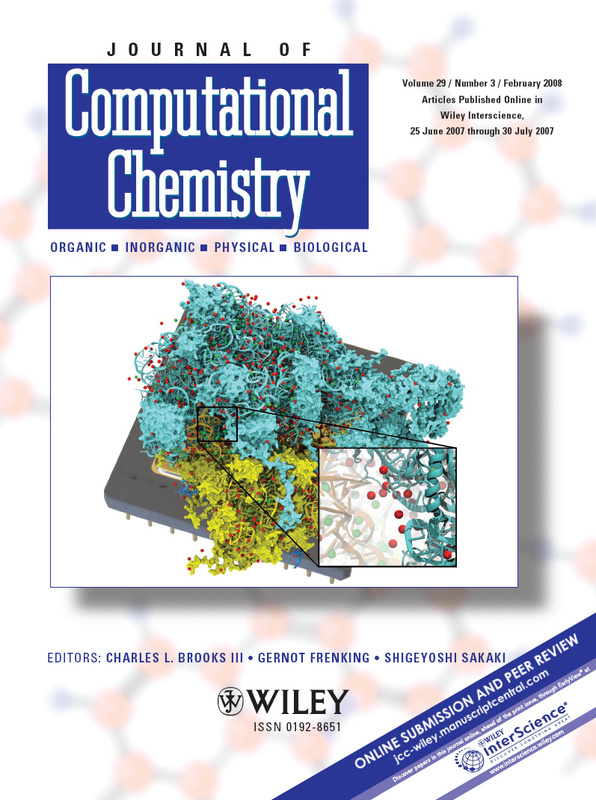 "High Performance Computation and Interactive Display of Molecular Orbitals on GPUs and Multi-core CPUs"
John E. Stone, Jan Saam, David J. Hardy, Kirby L. Vandivort, Wen-mei W. Hwu, and Klaus Schulten. In Proceedings of the 2nd Workshop on General-Purpose Processing on Graphics Processing Units, ACM International Conference Proceeding Series, volume 383, pp. 9-18, 2009. "Multilevel Summation of Electrostatic Potentials Using Graphics Processing Units"
David J. Hardy, John E. Stone, and Klaus Schulten. "Adapting a Message-driven Parallel Application to GPU-Accelerated Clusters"
James C. Phillips, John E. Stone, and Klaus Schulten. In SC '08: Proceedings of the 2008 ACM/IEEE Conference on Supercomputing, pp. 1-9, Piscataway, NJ, USA, 2008. IEEE Press. "Using VMD - An Introductory Tutorial"
Jen Hsin, Anton Arkhipov, Ying Yin, John E. Stone, and Klaus Schulten. "GPU Acceleration of Cutoff Pair Potentials for Molecular Modeling Applications"
Christopher I. Rodrigues, David J. Hardy, John E. Stone, Klaus Schulten, and Wen-Mei W. Hwu. In CF'08: Proceedings of the 2008 conference on Computing frontiers, pp. 273-282, New York, NY, USA, 2008. ACM. John D. Owens, Mike Houston, David Luebke, Simon Green, John E. Stone, and James C. Phillips. Proceedings of the IEEE, 96:879-899, 2008. "Accelerating Molecular Modeling Applications with Graphics Processors"
John E. Stone, James C. Phillips, Peter L. Freddolino, David J. Hardy, Leonardo G. Trabuco, and Klaus Schulten. Journal of Computational Chemistry, 28:2618-2640, 2007. John E. Stone, Justin Gullingsrud, Klaus Schulten, and Paul Grayson. "An Efficient Library for Parallel Ray Tracing and Animation"
"Rendering of Numerical Flow Simulations Using MPI"
John Stone and Mark Underwood. Second MPI Developers Conference, pages 138-141, 1996. "Numerical Flow Simulation and Rendering Using MPI"
"HPC Visualization on NVIDIA Tesla GPUs"
"Random Numbers, Efficiency, and Other Things"
"Workstation Clusters for Parallel Computing"
"The Ups and Downs of Multithreaded Ray Tracing and Optimization"
"Accelerating Software-based MPEG Encoding Using the VIS Instruction Set"
Visualizing Biomolecules in VMD, Hands-on Workshop on Computational Biophysics, NIH Center for Macromolecular Modeling and Bioinformatics, Beckman Institute, University of Illinois, Urbana, IL (4/18/2017). VMD: Preparation and Analysis of Molecular and Cellular Simulations, HPC for Life Sciences PRACE Spring School 2017, Stockholm Sweden (4/10/2017). Harnessing GPUs to Probe Biomolecular Machines at Atomic Detail, NVIDIA GPU Technology Theater, Supercomputing 2016, Supercomputing 2016, Salt Lake City, UT (11/16/2016). Visualization and Analysis of Biomolecular Complexes on Upcoming KNL-based HPC Systems: TACC Stampede-2 and ANL Aurora, Intel HPC Developers Conference, Supercomputing 2016, Salt Lake City, UT (11/13/2016). IBM: 2019 Champions press release, Jan 16, 2019. IBM: 2018 Champions press release, Jan 31, 2018. IBM Systems: "Rock Stars in our Midst, by Eve Daniels, May 2017. InsideHPC: "Rock Stars of HPC: John Stone", by Beth Harlen, InsideHPC, April 19, 2017. IBM: 2017 Champions press release, Feb 3, 2017. InsideHPC: "Visualizing Biomolecular Complexes on x86 and KNL Platforms: Integrating VMD and OSPRay", by Rich Brueckner, InsideHPC, December 18, 2015. Scientific Computing World: "Does HPC's future lie in remote visualization", by Tom Wilkie, Scientific Computing World, February/March, 2015. 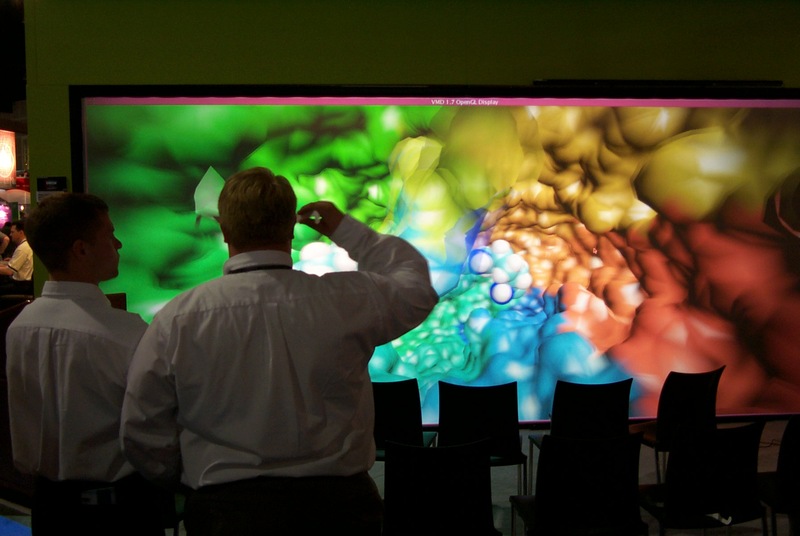 InsideHPC: "HPC's Future Lies in Remote Visualization, by Tom Wilkie, InsideHPC, February 11, 2015. NVIDIA: "CUDA for ARM Platforms is Now Available, by Mark Harris, NVIDIA, June 18, 2013. "Graphics Processing Unit (GPU) Acceleration for Cosite Interference Prediction Tools", SBIR N131-008, funded by NAVAIR, U.S. Navy, 2013-2016. "Antenna Placement Optimization on Large, Airborne, Naval Platforms", SBIR N101-022, funded by NAVAIR, U.S. Navy, 2010-2013. "Multilevel Parallelization of Software for Accurate Protein-Ligand Affinities", SBIR PAR-07-160, 1R44GM088867, funded by the National Institutes of Health, 2010-2014. 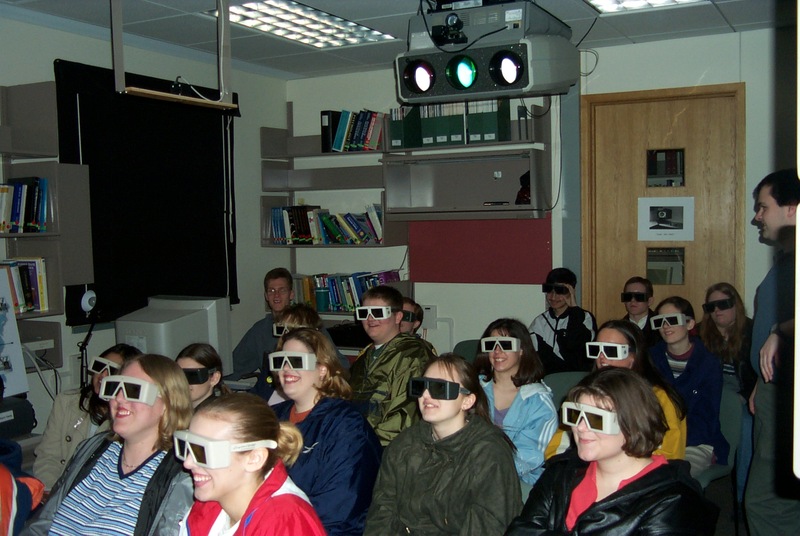 I served as a consultant to Production Data Services, developing tools for 3-D stereoscopic movie production. I developed and maintained a sophisticated software module for synchronized 3-D stereoscopic display of asynchronous, parallel-decoded video streams that formed the basis of the RushPlay 3D digital dailies system used in producing the Lionsgate 3-D movie My Bloody Valentine 3-D, released in January 2009. I was previously a Senior Programmer/Analyst at Heuris/Pulitzer, and later Heuris Logic, developing commercial video encoding and transcoding software used in service bureaus, the standalone commercial MPEG Power Professional software, and plug-ins for the leading non-linear video editing systems. My work in this era was noteworthy mainly for my early use of parallel processing and SIMD instruction set extensions for acceleration of the routines for color space conversions, image filtering and de-noising, and motion estimation within the video encoder subsystem. Finalist, 2016 GPU Center of Excellence Achievement Award: "Interactive Molecular Ray Tracing on GPU-Accelerated PCs, Remote Clouds and Supercomputers, and VR HMDs"
Finalist, 2015 NVIDIA Global Impact Award "Enabling Computational Virology with GPU Computing"
Winner of the SC'14 Visualization and Data Analytics Showcase for the movie and accompanying paper entitled: "Visualization of Energy Conversion Processes in a Light Harvesting Organelle at Atomic Detail"
2010 HiPEAC Paper Award for the paper "An Asymmetric Distributed Shared Memory Model for Heterogeneous Parallel Systems" presented at ASPLOS 2010. Tachyon, the ray tracing package I originally wrote for my Master's Thesis and continue to maintain today, was selected as a finalist for the SPEC MPI benchmark and is now part of the SPEC MPI2007 benchmark suite. Member in good standing of ACM, Siggraph, and IEEE. I hold an FCC Amateur Extra Class radio license KC9VGG, and a GMRS radio license. ARRL life member, and AMSAT-NA member. AMSAT OSCAR Satellite Communications Achievement Award #594, Limited Edition 50th Anniversary, March 6, 2019. ARRL WAS awards for Digital (JT65) #1900, and Mixed #60792, communication modes. WPX Digital award #983. ARISS SSTV award, Febaruary 2019. 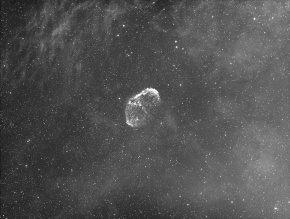 Member of the Champaign-Urbana Astronomical Society (CUAS). I have previously served as Vice President (2008, 2009, 2010), and Fifth Director (2013). Member of the Upsilon Pi Epsilon international computer science honorary society while a graduate student at University of Missouri-Rolla. I served as the treasurer for the local chapter in 1995. Member of the Kappa Kappa Psi national honorary band fraternity while a graduate student at University of Missouri-Rolla. Founding member of the University of Missouri-Rolla Solar Car Team while an undergraduate student. Member of the six man ISRA junior rifle team that won the 1990 National Trophy Team match at the National Trophy Rifle Matches at Camp Perry, Ohio. Contact Us // Material on this page is copyrighted; contact Webmaster for more information. // Document last modified on 19 Apr 2019 // 97461 accesses since 20 Mar 2006 .